PHOTOS: Christina Milian Bears Her Heart(s) For All To See At ‘Paddington’ Premiere! Check out more pics of her below! As Hollywood clamors for beauty products that will help them shine during award season, Red Carpet Manicure (the world’s first at-home LED gel manicure system) has become a must-have. Do you want to up the ante on your beauty regimen? Here is a link to a few How-To-Guides for the looks you’ll be seeing during awards week https://grey.box.com/s/td4u7qb3yi3v4hjym3bd. Zendaya Premieres “My Baby” Music Video — Watch Now! Although Zendaya has said “My Baby” won’t be her next single, it doesn’t make us any less excited for the music video she shot for the song with friends in her hometown of Oakland over the holidays. After a delay in the release of the video, it’s finally here… and it was definitely worth the wait! Major attitude, cool fashion, daring lip color, big diamonds, and cameos by friends… including Christina Milian! And, of course, the song is killer. 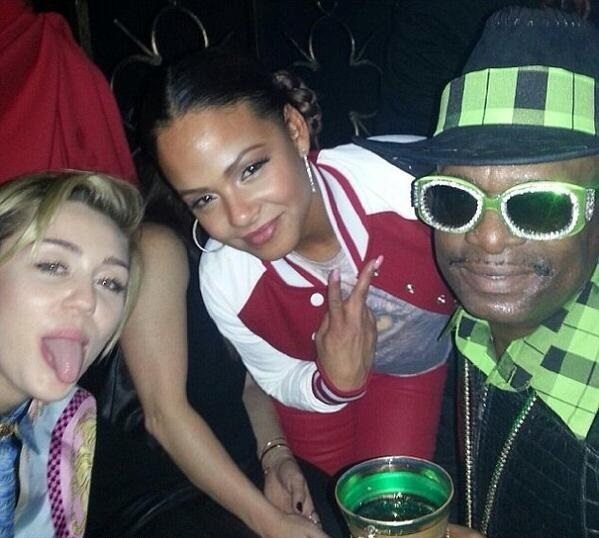 Miley Cyrus can party with the best of them and she usually does. She was out in West Hollywood at Greystone Manor and look who she ran into — Christina Milian and hip hop personality Bishop Magic Don Juan. And in typical Miley fashion she posed for a picture with her tongue, maybe not its traditional position — but it was definitely out for all to see. Miley is only a couple weeks out from her BANGERZ tour; unable to contain her excitement she tweeted, “I can’t wait to be on tourrrrrrrrrrr”. Be sure to check out Miley’s website for all the information about her upcoming BANGERZ tour. It’s the holiday season, so you know what that means — plenty of holiday movies, parties, and music. 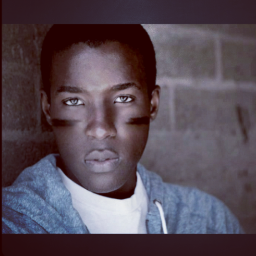 A new movie is set to premiere on the Lifetime Channel, “A Snow Globe Christmas” featuring the upcoming actor Dillon Daniel, who will play the character of Joseph. The rising star will be joined by some veterans — Donald Faison, best known as Turk from the hit TV show Scrubs, the beautiful Christina Milian and 90210 star Trevor Donovan. Be sure to check out Dillon on a Season 3 episode of Lab Rats on Disney XD and make sure to tune into the Lifetime Channel on Dec 14th @ 10.9c to see, “A Snow Globe Christmas”.